Yesterday I listened to an interview on Fresh Air about a documentary called “The Interrupters” with the film’s director, Steve James (Hoop Dreams) and one of the interrupters, Ameena Matthews. The interrupters were all in a gang at one time and are working now to prevent violence in the youth of Chicago. The interrupters work for a group called CeaseFire. The interview was educating and heartbreaking. Ameena Matthews is both elegant and blatant in recounting her life story and the stories of the kids she works with. Although I don’t live in the same neighborhood(s), I do live in the same city and anyone that lives here is aware of the violence. Any progress that is made in one part of the city benefits all of Chicago. The film will be playing at the Gene Siskel Film Center is at 164 N. State Street (between Lake and Randolph). Showtimes begin August 12th. 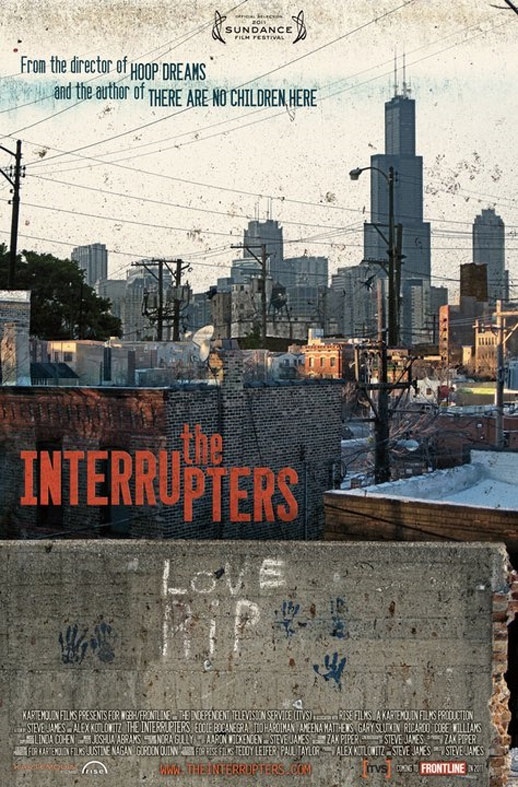 The Interrupters | A Film by Steve James and Alex Kotlowitz.